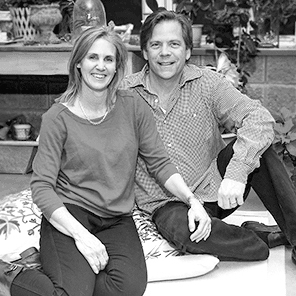 Below you will find information on the JLB Project’s founders and dedicated board members. Contact us for more information on the JLB Project or to learn how you can help. Anna grew up in Wyoming and went to school in Nebraska where she received her B.S. degree in Radiologic Sciences. While in Nebraska she met Mike, her now husband of eleven years. While Mike finished up his residency Anna moved to Denver and worked at Denver Children’s Hospital. 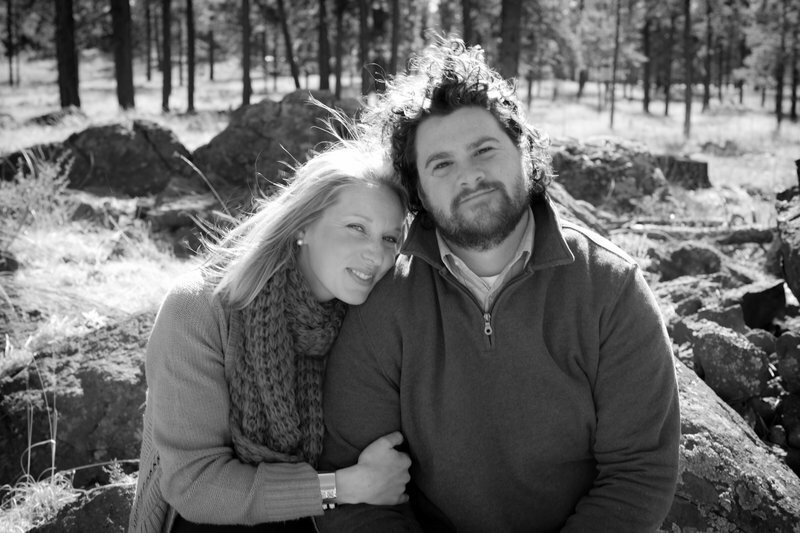 In 2000 they were married in Denver and moved to Flagstaff where Mike joined the group, Northern Arizona Radiology. Anna always dreamed of being a photographer and had the opportunity to go back to school after moving to Flagstaff. She attended Northern Arizona University where she studied photography. Anna has been blessed in this life to be the mother to two beautiful children and one little angel. Anna loves to swim (she swam in college), hike, ride her bike and be outside spending time with her family. She lives by faith. Through JLB Project Anna hopes to give back some of the kindness that has been shown to her in this life. Anna feels deeply that grief is a process of life that is overlooked because it is uncomfortable to discuss, especially the grief of losing a child. Grieving and loneliness is not a good combination and having somewhere to turn where others can relate to your loss is a great thing. JLB Project is a way to heal her wounds and to offer a path to others as they find their way after losing their child. Michael was born and raised in Wyoming but went to school in Nebraska where he met his amazing wife Anna. They moved to Flagstaff in 2000. He enjoys a fulfilling career as a physician with Northern Arizona Radiology, They have two awesome kids and one little angel. Mike loves to run, bike, snowboard and golf but can’t find time do much of any. His happiest days are spent enjoying family time at the beach. Mike feels blessed to be part of a wonderful group with a passionate mission of helping those in our community. Kendra has lived in Flagstaff for 13 years since moving from Tucson. She completed her Master's Degree in counseling from Northern Arizona University. Kendra is a licensed therapist. She is passionate about working with JLB Project families and supporting them. Kendra started supporting JLB Project as a volunteer years ago, and went on to become the bereavement coordinator for JLB Project, and is now excited to give back as Board President. In her spare time Kendra enjoys spending time with her family, yoga, hiking and being outdoors. Melissa has lived in Flagstaff for five years after relocating from New Jersey where she was a Managing Director and board member of an investment management firm in New York City for eight years. She obtained her Masters degree in Business Administration from Harvard Business School and her BA in Business-Economics with a concentration in accounting from UCLA. Melissa is a mother of three and enjoys hiking, skiing and exploring the outdoors with her family. She believes strongly in JLB Project and its mission. She is excited about JLB Project’s future, and especially wants to see the Children’s Community Garden become a reality in Flagstaff. Dr. Lee McGarey graduated from the University of Arizona College of Medicine in Tucson, Arizona. After completing her 3 year pediatric residency program at Phoenix Children’s Hospital, she continued on for a 4th year as a Chief Resident. The following two plus years Dr. McGarey spent providing comprehensive medical care overseas to the children of Saipan. Saipan is a second world Pacific Island and Commonwealth of the U.S. with a population of multiple cultures. Upon her return to the states with her two small girls, she went to Norfolk, Virginia. There she became an Instructor of Pediatrics at Children’s Hospital of the Kings Daughters. In the hospital she delivered emergency care to pediatric patients and instructed Pediatric, Family Practice and ER residents in the Pediatric Emergency Room. Wanting to return to the Southwest and their families, Dr. McGarey, her husband and their three children moved to Flagstaff. In 1999 she partnered with Mountainview Pediatrics where she continues to treat pediatric patients in her private practice. She has served as Pediatric Department Chair at Flagstaff Medical Center during 2002 and 2003. Dr. McGarey has also continued to provide volunteer missionary work overseas in India, El Salvador and Guatemala. Since 2011 Dr. McGarey has served on the Capstone Board of Directors. With her third child applying to colleges and soon to become an empty nester, she is interested in redirecting more of her time and energy into the Flagstaff Community. Dr. McGarey is looking forward to serving on the JLB Project board. Celia Frost moved to Flagstaff seven years ago by way of Oregon, Indiana, Sweden and Texas. She has a Bachelors of Science in Nursing and Biology from the University of Evansville in Evansville, Indiana. Celia started her nursing career working in Oncology and Pediatrics before moving to the Neonatal Intensive Care Unit and Neonatal Transport. She is part of the Patient and Family Centered Care committee as well as the To Lose a Child program committee at Flagstaff Medical Center. Celia sees helping families through the transitional life phases of birth and death as one of the most precious aspects of her profession. Being a part of the JLB Project allows her to continue this work outside of the acute care setting. Celia has 3 beautiful children and enjoys spending time adventuring with her family whenever possible. She is very excited to be a part of this organization. Lynn has lived in Flagstaff for 7 years, after moving from Tennessee. She has Bachelor of Science degree from Middle Tennessee State University in Secondary Education with a Minor in Biology and taught a variety of high school sciences for 3 years before going back to school at Union University for her Bachelors of Science in Nursing. She spent 6 years working as an obstetrics nurse and is now a nurse educator. She is mom to a little boy and an angel above. 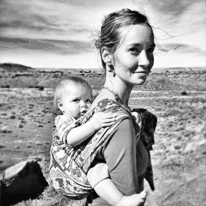 Lynn has been involved with JLB Project since 2011 and has been instrumental in establishing the perinatal palliative care program at Northern Arizona Healthcare. She has seen first-hand the wonderful work JLB Project is doing in our community and is excited to watch our impact grow. Lynn has found healing in helping other families navigate through this difficult journey and feels honored to be a part of their lives. Deb grew up in Colorado and obtained both her BSN and MSN from the University of Colorado. A mountain girl at heart, Deb moved to Flagstaff in 1992. Over the past 25 years she has practiced as a Neonatal Nurse Practitioner in the Special Care Nursery at Flagstaff Medical Center. Most recently, Deb was appointed the Director of Women and Infants Services for Northern Arizona Healthcare. Deb also serves on the Board of Directors of the Arizona Perinatal Trust, the Arizona Newborn Screening Advisory Board and the AZDHS Newborn Screening Severe Combined Immunodeficiency (SCID) Workgroup. 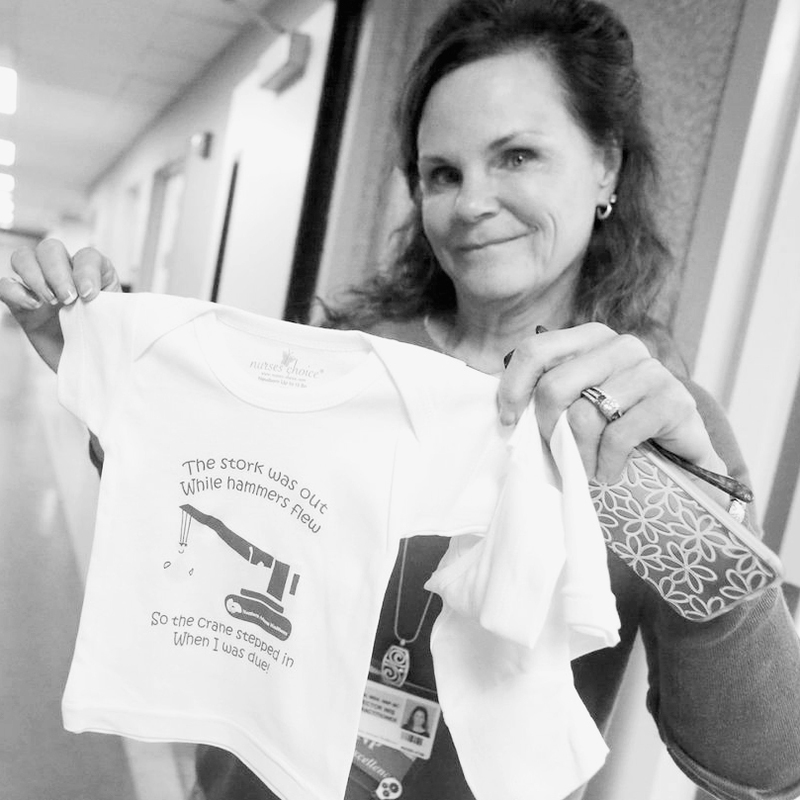 Deb is passionate and dedicated to neonatal care on many levels. An advocate for perinatal palliative care and bereavement support Deb is most excited and honored to join the JLB Project Board. For balance, Deb loves to mountain bike and trail run, but especially values any time adventuring outside with her husband and their two Labradors.